February 6-10, 2012. Santa Cruz County, Arizona. 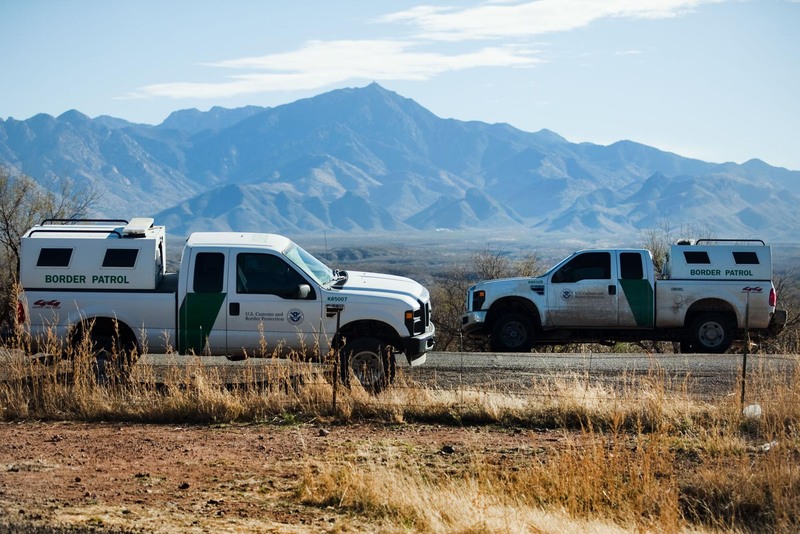 Border Parol vehicles near route 19 with a view of the Patagonia Mtns behind near the border town of Nogales between Arizona, US and Sonora, Mexico. Piotr Redlinski for The New York Times.